The Chief Minister's Office (CMO) has apparently called for a meeting of the council of ministers on Friday and requested that none of the ministers travels out of the city that day. An anonymous source has confirmed to IANS that Goa Chief Minister Manohar Parrikar will return to the country on Thursday. The CM of the BJP-led coalition has summoned the cabinet ministers for a meeting on Friday, as per the source who requested anonymity. "The venue for the meeting has not been confirmed yet. 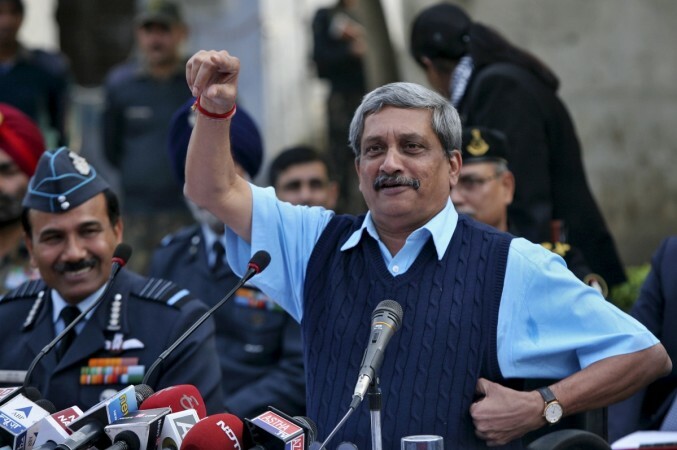 But we have been told by the CMO that Parrikar is returning to Goa late on June 14 and he would like to meet his cabinet on the next day," the source said. The 62-year-old former Defence Minister was hospitalised on three occasions since mid-February on complaints of stomach ache in Goa's Medical College and Mumbai's Lilavati Hospital. In Mumbai, he was diagnosed with cancer, and in March was shifted to the USA on the advice of doctors. Currently, Parrikar is being treated for advanced pancreatic cancer at an undisclosed hospital in New York City, where he is receiving highly specialised treatment. Last week a leaked memo from the Goa Home Department stated that the Chief Minister would return to the state on June 18, to attend the Revolution Day event in the state. The BJP has denied the claims, stating that Parrikar is scheduled to receive treatment till the end of the month. In his absence, Parrikar has set up a three-member ministerial committee to oversee the day-to-day functioning of the state government. Over the last one month, there has been intense speculation about the ailing Chief Minister's return to Goa. The BJP has refused to provide any updates, nor has the government released any official updates about Parrikar's health.